Herk Harvey had a successful career as a director and producer of educational and industrial movies in Lawrence, Kansas, but he longed for something more. After all, fellow Kansas filmmaker Robert Altman had made the leap from industrial flicks to Hollywood, so why couldn’t he? Now in the public domain, Carnival is a slow burn of dread that relies on few cheap jumps and little gore. Instead, Harvey creates a sparse world of alienation and creeping hysteria like an Edward Hopper painting gone psychotic. Harvey’s inspirations were clearly more art house than Hammer horror. Echoes of F. W. Murnau, Ingmar Bergman and Jean Cocteau abound. Yet the curiously somnambulate acting exhibited by most of the cast along with the movie’s freaky organ soundtrack gives the film the vibe of a particularly nightmarish Ed Wood movie. 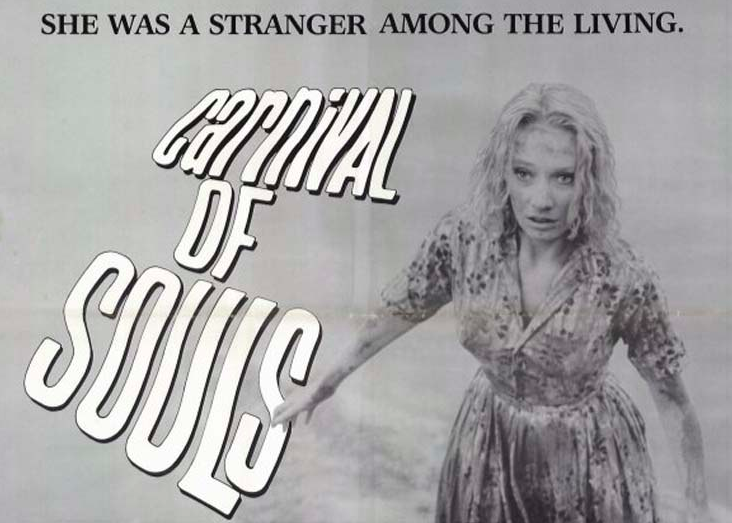 Carnival made a modest showing on the drive-in circuit when it came out but it didn’t become a cult classic until later in the 60s when it started playing on late-night TV. Harvey, however, never made another feature. You can watch the complete movie above, or find it in our collection, 1,150 Free Movies Online: Great Classics, Indies, Noir, Westerns, etc..
Ed Wood’s Plan 9 From Outer Space: “The Worst Movie Ever Made,” “The Ultimate Cult Flick,” or Both? This is an extremely creepy film – strongly recommend.